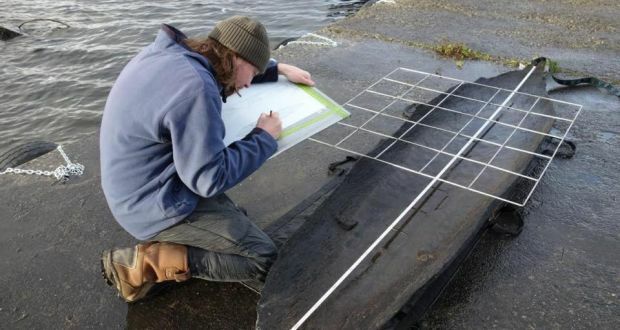 The recent archaeological finds along the western seaboard are creating great excitement among locals, but a Clifden-based archaeologist believes much of its value will be lost if resources aren’t put into recording and interpreting the artefacts. “There is great excitement in the local population about this [previously] drowned landscape. I am contacted virtually every day by people finding things in the fields adjoining the coastline,” says archaeologist Michael Gibbons, who wants the Government to establish regional archaeological units to record and interpret these finds. 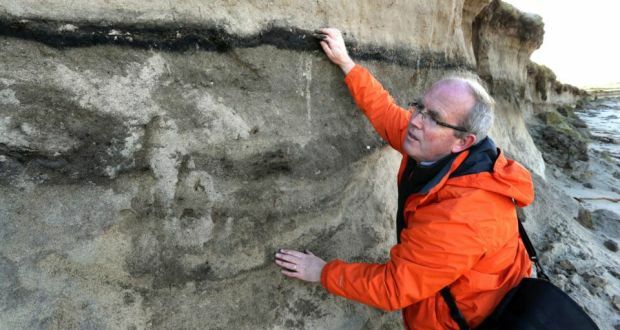 “The problem is that if nothing is done, it will be taken back by the sea,” says Gibbons, who suggests that some of the 6,000-year-old stone axes and other prehistoric materials have already been washed away. Dutch archaeologists have recently completed the rescue excavation of a unique treasure hoard dating to the beginning of the 5th century AD, from a field in Limburg. The hoard partially consists of a combination of gold coins and pieces of silver tableware which had been deliberately cut up (hacksilver). The complete hoard was shown at a press conference on Friday, April 25 in Limburg Museum (Venlo) where archaeologists highlighted the significance of the find as a key piece of evidence for our understanding of the final phase of Roman rule in the Netherlands, around the year AD 411. Placing the treasure into perspective within the political and military chaos at the time, why was the precious and richly decorated Roman silver tableware cut into pieces and buried? Further details have emerged of the nature of a "lost village" discovered during water main works on the outskirts of Selkirk. The stones, cobbles and artefacts unearthed are thought to date from between the 14th and 16th Centuries. They were found during a Scottish Water project to lay a new water main. Initial studies in late 2012 suggested the findings may have been related to an Anglo-Saxon settlement but it now appears to date from a later period. German and Dutch pots, jugs and mugs, coins including an American cent, spindles, a sheep skull and horse teeth have been found by archaeologists digging in the Scottish Borders, where doors integrated into walls have revealed a “lost” Medieval village of families, farmyards and hearths. If you’re strapped for cash but dying to check out Stonehenge up close, there’s now an easy way to visit the prehistoric monument right from the comfort of your couch and provided that you own one of Apple’s fancy iDevices. Stonehenge is now accessible from Apple Maps in 3D Flyover, which means you can hover over the mysterious ring of standing stones, pinch to zoom, and rotate at will to check it out from all angles. Don’t expect to see the pores in the monoliths, though (not that they’d let you even if you were there in person). In case you’re a stranger to Apple Maps (nobody blames you), all you need to do is launch the app, tap the search bar at the top, type in “Stonehenge,” and then select the 3D Flyover view from the row of options at the bottom (represented by a trio of skyscrapers in space view). Go ahead and give it a try on your device, then come back to read some more about Stonehenge if you’re hungry for a late history lesson on Britain’s heritage. 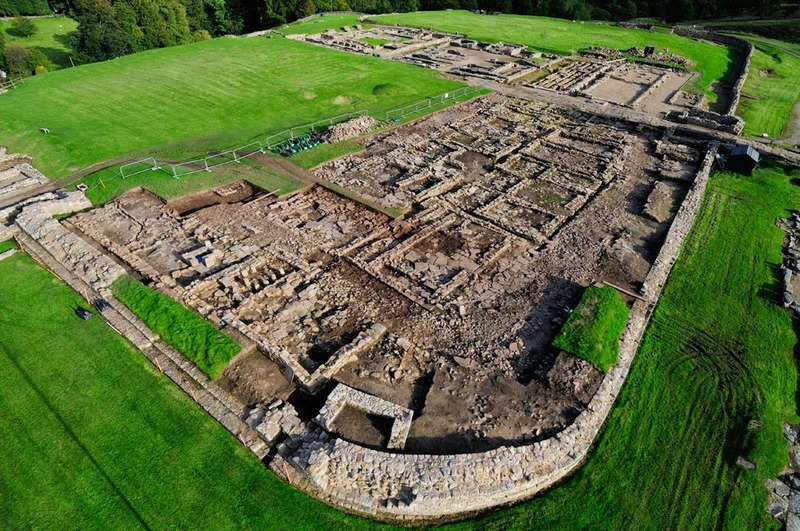 Archaeologists taking part in the summer excavation programme at Vindolanda Roman Fort, on Hadrian’s Wall say they are hopeful the dig will yield more examples of the famous Vindolanda tablets discovered at the site in 1973. The wooden leaf tablets with ink text are the oldest surviving instances of hand written script in Britain, containing everything from military directives to party invites revealing the day-to-day life of Romans on and around Hadrian's Wall. The five-month dig at the important Roman site, which boasts a complex of at least nine forts and settlements at the heart of the wall, has already yielded the remains of late 4th century and post-Roman buildings, glass beads, stone counters and an intriguing rusty clump of chain mail. A community dig has shed new light on a castle which for centuries was in the front line of the conflict between England and Scotland. It has shown that Wark Castle on the Northumberland side of the River Tweed was more of a heavyweight prospect than previously believed. The excavations are the latest in a series by the Flodden 500 Archaeological project. The venture began in 2009 with a grant from English Heritage in the run-up to last year’s marking of the 500th anniversary of the Battle of Flodden. An international team led by researchers at Uppsala University and Stockholm University reports a breakthrough on understanding the demographic history of Stone-Age humans. A genomic analysis of eleven Stone-Age human remains from Scandinavia revealed that expanding Stone-age farmers assimilated local hunter-gatherers and that the hunter-gatherers were historically in lower numbers than the farmers. The study is published, ahead of print, in the journalScience. The transition between a hunting-gathering lifestyle and a farming lifestyle has been debated for a century. As scientists learned to work with DNA from ancient human material, a complete new way to learn about the people in that period opened up. But even so, prehistoric population structure associated with the transition to an agricultural lifestyle in Europe remains poorly understood. This image shows osteologists Ove och Evy Persson at Ajvide, Gotland, Sweden, 1983. The skeleton from a young woman dated to 2700 BC. An international team led by researchers at Uppsala University and Stockholm University reports a breakthrough on understanding the demographic history of Stone-Age humans. A genomic analysis of eleven Stone-Age human remains from Scandinavia revealed that expanding Stone-age farmers assimilated local hunter-gatherers and that the hunter-gatherers were historically in lower numbers than the farmers. The study is published today, ahead of print, in the journal Science. "For many of the most interesting questions, DNA-information from people today just doesn't cut it, the best way to learn about ancient history is to analyze direct data—despite the challenges", says Dr. Pontus Skoglund of Uppsala University, now at Harvard University, and one of the lead authors of the study. "We have generated genomic data from the largest number of ancient individuals" says Dr. Helena Malmström of Uppsala University and one of the lead authors. "The eleven Stone-Age human remains were between 5,000 and 7,000 years old and associated with hunter-gatherer or farmer life-styles" says Helena Malmström. The bones of a foetus and its heavily pregnant mother have been found in a chamber of All Saints church in York, where three men were found “shoved” into a tomb with grave markings designed to ward off evil spirits during the early 13th century. Ancient serviceable drains, pottery fragments dating from Roman times to the 18th century, entrenched Viking pottery and Anglian pieces with possible links to the baptism of St Edwin, the 7th century King of Northumbria, have also been discovered in the Lady Chapel, where a medieval-style tile pavement has been laid in an English parish church for the first time in 500 years. As Ireland marks the millennium of the Battle of Clontarf – portrayed as a heroic encounter between Irish and Vikings which defined the nation’s identity - new research argues that our main source for what happened may be more literary history than historical fact. 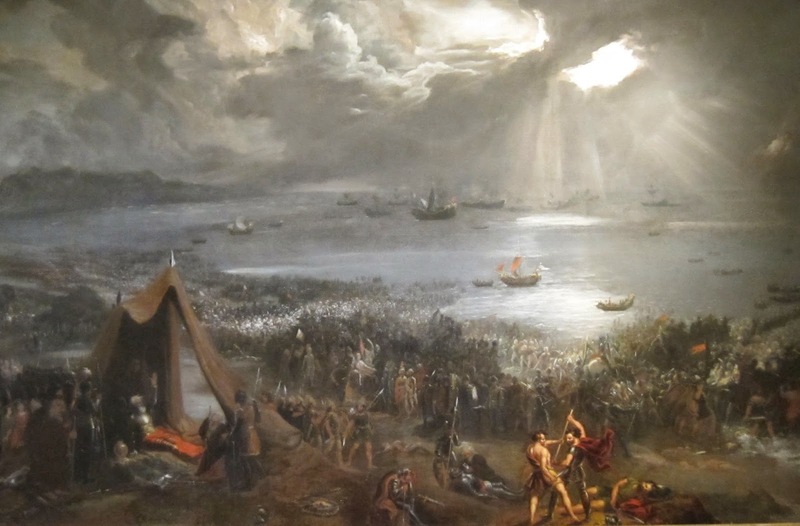 The standard account of the Battle of Clontarf – a defining moment in Irish history which happened 1,000 years ago this week – was partly a “pseudo-history” borrowed from the tale of Troy, new research suggests. The findings, which are to be published in a forthcoming book about the intellectual culture of medieval Ireland, coincide with extensive celebrations in Dublin marking the millennium of Clontarf, which was fought on Good Friday, April 23, 1014. 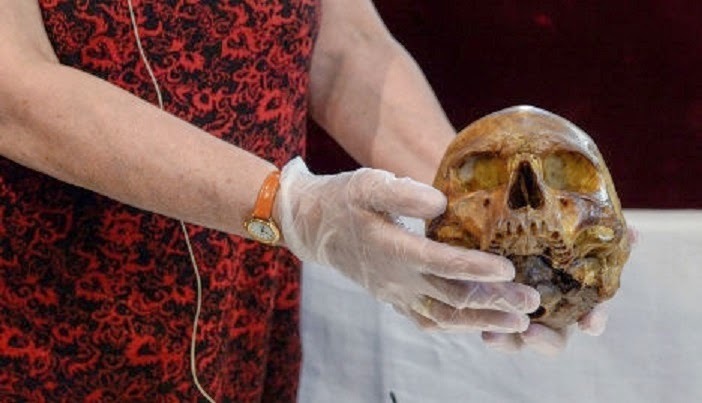 Scientists pried open the 850-year-old casket of King Erik the Holy on Wednesday, hoping to find out more about the king, his crown, and his eating habits. "This was a very special occasion, especially considering the importance of Saint Erik religiously in Sweden," Uppsala Cathedral Chaplain Lars Åstrand told The Local. The casket contained the bones of King Erik, who was later made a saint, together with a gilded copper crown decorated with semi-precious stones. "The crown is unique - there's nothing as old as this of its kind in Sweden. It's certainly the oldest medieval royal crown in the country," Åstrand said. 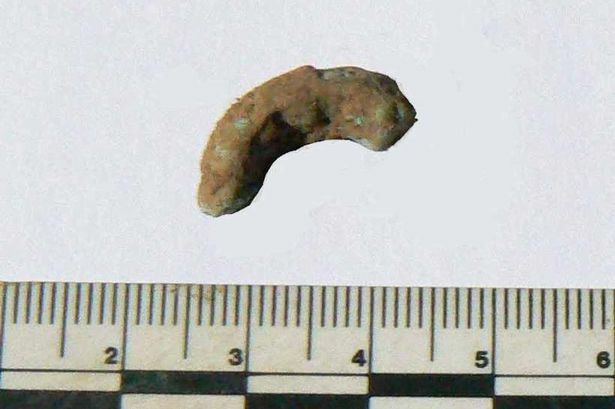 Copper artefact found in an archaeological excavation at Perthi Duon on Anglesey. Photo courtesy of Dr George Nash. The discovery of a mysterious copper artefact at a Neolithic tomb on Anglesey could help to answer one of archaeology’s burning questions. Dr George Nash, who led the excavation at Perthi Duon near Brynsiencyn, says the find could lend weight to the idea of a British Copper Age, which is currently being debated by archaeologists. Perthi Duon – described by Dr Nash as Anglesey’s “least known Neolithic chambered tomb” – is believed to have been a portal dolmen, a type of single-chamber tomb mostly built in the early Neolithic period, and dates to around 3,500BC or earlier. There is new real state to be seen in the Pompeii, Italy, archaeological site, with three restored houses open to the public. POMPEII , Italy, April 17 (UPI) -- In time for Easter tourists, three additional houses in the ancient city of Pompeii, Italy, buried in a volcano eruption in 79 A.D., were opened Thursday. Italian Culture Minister Dario Franceschini inaugurated the three restored houses, or domus, in a ceremony at the celebrated archeological site. 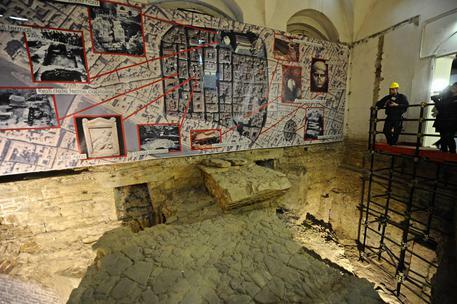 The houses were formerly occupied by the families of Marcus Lucretius Fronto, Romulus and Remus and Trittolemo, the office of Pompeii’s archeological superintendent said. British scientists have discovered a new section of the boundary wall of the river port of ancient Rome which they say proves that the city was much larger than previously estimated. Researchers from the universities of Southampton and Cambridge uncovered the extra section of the wall at Ostia while conducting a survey of an area between the port and another Roman port called Portus - both of which are about 30 miles from the Italian capital. Scholars had thought the Tiber formed the northern edge of Ostia, but this new research, using geophysical survey techniques to examine the site, has shown that Ostia's city wall continued on the other side of the river. (ANSA) - Florence, April 14 - Archaeologists digging up the remains of an ancient Roman theatre discovered under the Palazzo Vecchio in Florence have found a "vomitorium" or corridor used by as many as 15,000 theatre goers in the first and second centuries A.D., city officials say. The latest find at the site in the centre of the Tuscan capital includes the original painted stone pavements along which spectators used to walk from the outer circle of the theatre to the orchestra pit, which already had been excavated during previous digs. Also discovered were well shafts going as deep as more than 10 metres below the current surface of Florence, providing water and waste disposal for the theatre, as well as remains of the foundations of the walls used to build the Salone dei Cinquecento. A second three-aisled basilica was brought to light by archaeologists on the site of Katalymmata ton Plakoton, of the Akrotiri peninsula, in Cyprus. Excavations by the Cyprus Antiquities Department in the area have been in progress since 2007 when the first basilica was revealed. However, the new basilica is not the only important finding. 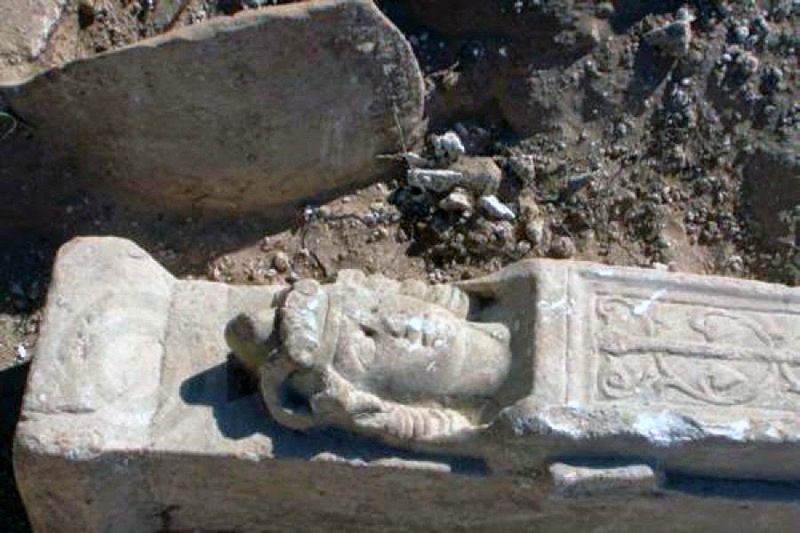 Archaeologists also discovered a marble stele with a bust of the Byzantine emperor Heraclius personified as Alexander the Great. Unter der Leitung von Prof. Dr. Jörg Gengnagel vom Südasien-Institut der Universität Heidelberg beschäftigt sich ein Team von Wissenschaftlern mit dem Schmuckstein Granat und den Handelsbeziehungen beim mittelalterlichen Schmucksteinhandel. When you’re about to handle an archaeological artefact, interesting things happen to your body. In anticipation of the pleasure to come, your heart starts to race a little faster, the hair on the back of your neck might begin to rise, palms can become sticky. And of course there is the nagging knowledge that the security of that unique, precious – sometimes priceless – traveller in time is, physically, in your hands. Hotfoot back from Shanghai where I am filming The Story of China, and now very excited about tomorrow night at the British Museum! We had a production meeting yesterday going through the script and suddenly the spine-tingling ‘liveness’ of it all felt very immediate. Vikings Live is now really coming together, with a series of very exciting scenes and a team of terrific contributors. Gareth, the exhibition curator, will even be sweltering in full Viking war-gear to explain the ethos of a warrior society. A string of inspiring experts will be your guides through the glitter and violence of the age, led by everybody’s favourite museum director / magician, Neil MacGregor, who has now turned his hand to A History of the Viking World in a Thousand Objects! In September 2013, the National Maritime Museum Cornwall was approached by the British Museum and asked if we would produce something Viking to be filmed for theirVikings Live cinema broadcast, after seeing the Bronze Age boat replica that we had built and launched in March 2013. Of course, we said yes. After plenty of chats with Gareth Williams, the curator of the BP exhibition Vikings: life and legend and Patricia Wheatley, Executive Producer of Vikings Live, our boat restoration team started to build the stem section of a Viking-style boat, to be constructed using traditional methods. 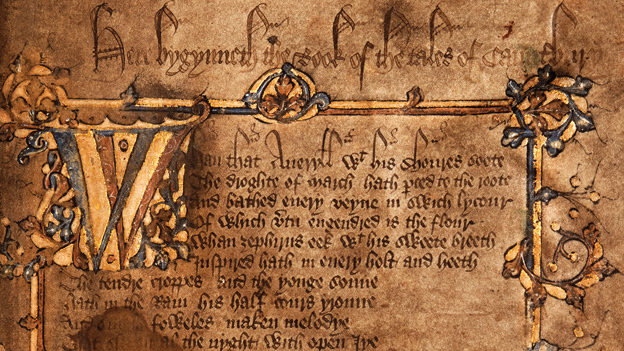 More than 600 years ago poet Geoffrey Chaucer died without completing his greatest masterpiece, The Canterbury Tales. A collection of more than 20 stories written in Middle English in the 14th Century, they show the best and worst of human nature with a humorous touch. And the earliest manuscript containing his work has been kept at the National Library of Wales in Aberystwyth. Now the priceless collection has been published online for the first time. 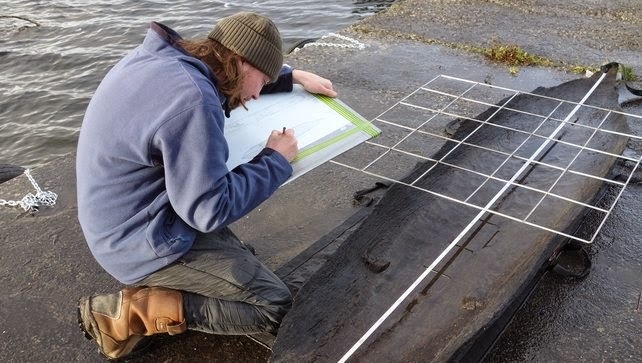 A 4,500-year-old log boat is among 12 early Bronze Age, Iron Age and medieval craft that have been located in Lough Corrib, along with several Viking-style battle axes and other weapons. The vessels were discovered by marine surveyor Capt Trevor Northage while mapping the western lake to update British admiralty charts. Investigative dives were subsequently carried out last summer by the underwater archaeology unit (UAU) of the National Monuments Service, and radiocarbon dating of samples was then conducted. Minister for Arts, Heritage and the Gaeltacht Jimmy Deenihan, who was informed of the finds recently, has described them as “exceptional”. The three Viking-style battle axes recovered from one of the vessels will be a centrepiece in the National Museum’s Battle of Clontarf commemorative exhibition, which is due to open later this month. Archaeologists have uncovered the earliest evidence of the presence of humans in Scotland it was announced today. 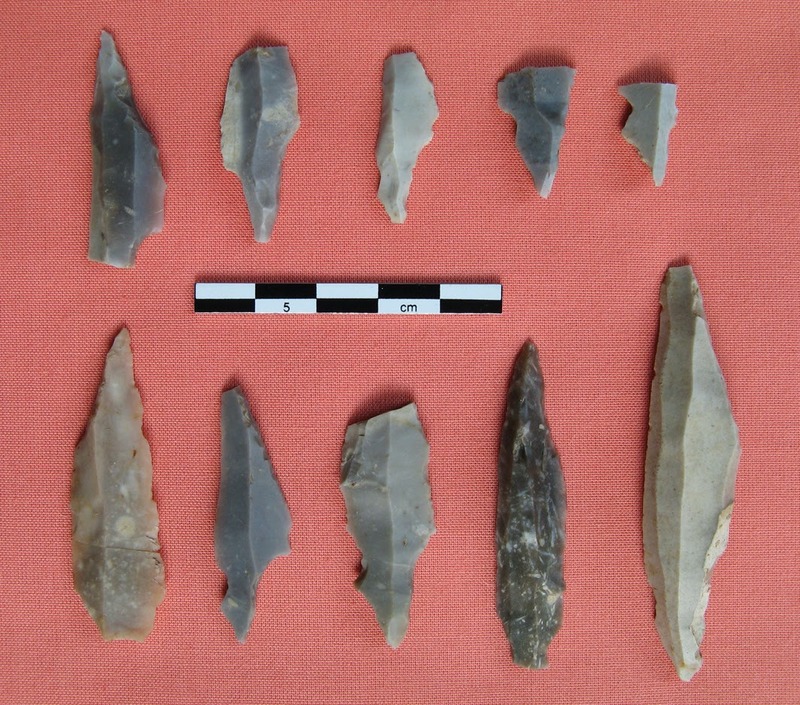 An assemblage of over 5,000 flint artefacts was recovered in 2005-9 by Biggar Archaeology Group in fields at Howburn, near Biggar in South Lanarkshire, and subsequent studies have dated their use to 14,000 years ago. Prior to the find, the oldest evidence of human occupation in Scotland could be dated to around 13,000 years ago at a now-destroyed cave site in Argyll. Primitive tools dug up by archaeologists in South Lanarkshire have been dated at 14,000 years old - making them the earliest evidence of humans in Scotland. The discovery follows a study of more than 5,000 flint artefacts recovered from fields at Howburn, near Biggar, from 2005 to 2009. Experts observed striking similarities to previous finds in northern Germany and the south of Denmark, helping them date the tools to the very earliest part of the late-glacial period. They now believe Howburn is likely to have hosted the very first settlers in Scotland. A dig by archaeologists in a cathedral kitchen has served up plenty of food for thought. The investigation by Archaeological Services Durham University has been taking place in what was the Great Kitchen of Durham Cathedral. Working with the cathedral’s archaeologist Norman Emery, they have taken the unique opportunity to carry out excavations in advance of developments linked to the cathedral’s Open Treasure project. The former kitchen, which was later used as the cathedral bookshop, has been cleared prior to work to converting it into a new exhibition space. Archaeologists believe they might have stumbled across an Iron Age mint which produced gold and silver coins for the coveted Hallaton Treasure. The dig at Blackfriars, in the city, unearthed coin mould fragments which, combined with evidence from previous excavations, seems to confirm the site was a 2,000-year-old Corieltauvi tribe mint. The Corieltauvi controlled most of the East Midlands, with Leicester as its capital. Archaeologists believe the Blackfriars site could have produced some of the 5,000 silver and gold coins found in 2000, near the Leicestershire village of Hallaton. The tidal current runs to and fro […] crowded with memories of men and ships it had borne to the rest of home or to the battles of the sea. Hunters for gold or pursuers of fame, they all had gone out on that stream, bearing the sword, and often the torch, messengers of the might within the land, bearers of a spark from the sacred fire. What greatness had not floated on the ebb of that river into the mystery of an unknown earth! … The dreams of men, the seed of commonwealths, the germs of empires. Joseph Conrad, Heart of Darkness (1899). Here, surely, we have a passionate and evocative description of the Vikings: bold adventurers stepping forward onto the world stage, ready to set a blaze on four continents and pave the way for the nations that would rise in their wake. In fact, this passage, taken from Joseph Conrad’s Heart of Darkness, describes the explorers, buccaneers, settlers and merchants – ‘the dark ‘interlopers’ of the eastern trade, and the commissioned ‘generals’ of the East India fleets” – who had set out from the Thames from the 16th to the 19th century, laying the foundations of the British Empire and changing the world forever. Raiders... conquerors... fierce in battle and strong in family. 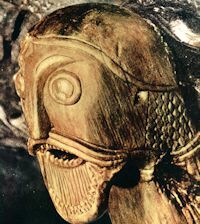 These are the images that the world has of Vikings. We know where they lived, and to some degree how they made a living. We know which gods they worshipped and how. Yet the bulk of our knowledge consists of broad brush strokes that omit the nuances of everyday life. The Vikings recorded many things, from The Sagas to business transactions and personal letters. But beyond a brief and occasional mention, two of the many things they didn’t write about were what they ate and how they prepared their meals. The Vikings left no recipes. To that end An Early Meal, by Daniel Serra and Hanna Tunberg, is a triumph. It is a triumph of a book in the fields of both culinary history and world foods that rips the shroud of mystery off Viking cuisine. It is also the only book available with recipes that even approach authentic Viking Age dishes. 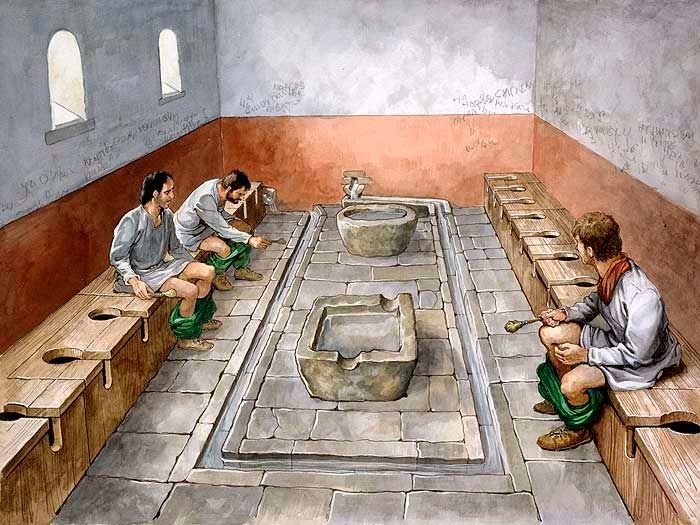 “Sitting Pretty: latrines and garderobes through the ages”. The development of sanitation has been an important aspect of human society through the ages. This talk looks at the history and archaeology of the toilet from the Neolithic to the nineteenth century. 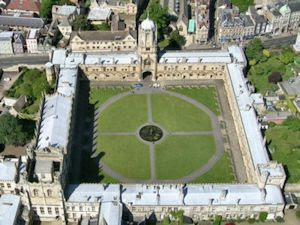 Some people believe Shakespeare may have worshipped there, even that it might have inspired scenes in Romeo and Juliet. Today it provides the backdrop to the hit BBC series Rev, starring Tom Hollander. Soon, an east London church could be the site of one of the most exciting archaeological investigations in recent times, one that may shed new light on the life of the playwright. Today it provides the backdrop to the hit BBC series “Rev,” starring Tom Hollander. 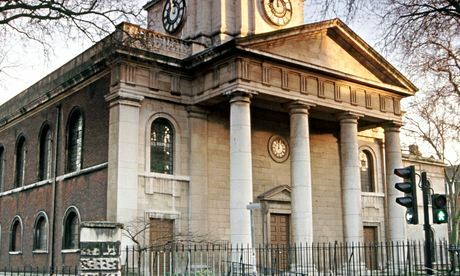 Soon, the East London church could be the site of one of the most exciting archaeological investigations in recent times, one that may shed new light on the life of the playwright. 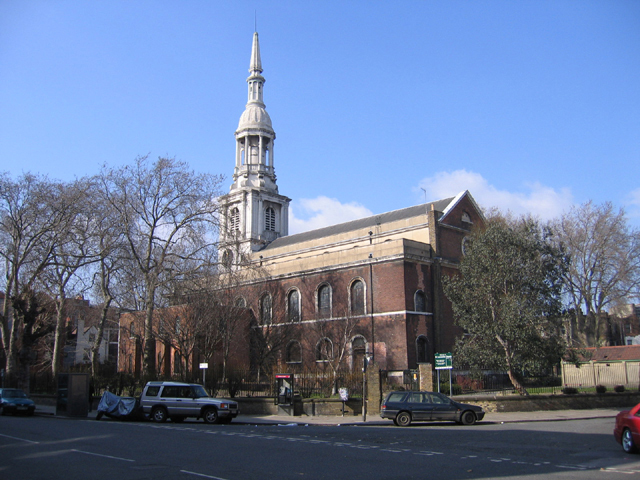 St. Leonard’s church in Shoreditch — an 18th-century building known to “Rev” fans as St. Saviour in the Marshes — stands on a site occupied by its medieval predecessor, also known as St. Leonard’s, until it was demolished in the 1730s. Historians have long speculated that large portions of the medieval church familiar to Shakespeare and many of his contemporaries might survive beneath the present church and its surrounding land. However, due to costs and the difficulties of investigating beneath and around a listed building used for worship, no work has been carried out. 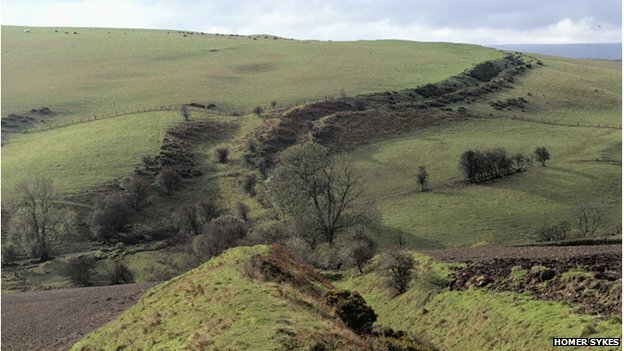 Archaeologists have uncovered evidence which suggests that Offa's Dyke may have been built up to 200 years earlier than thought. Samples from Clwyd-Powys Archaeological Trust excavations on a stretch of the dyke have been radiocarbon dated to the second half of the 6th Century. Historians have always associated the dyke with King Offa who ruled the kingdom of Mercia in the 8th Century. But now archaeologists believe it might have been in use before he ruled. The trust said it was a "tremendously exciting discovery". 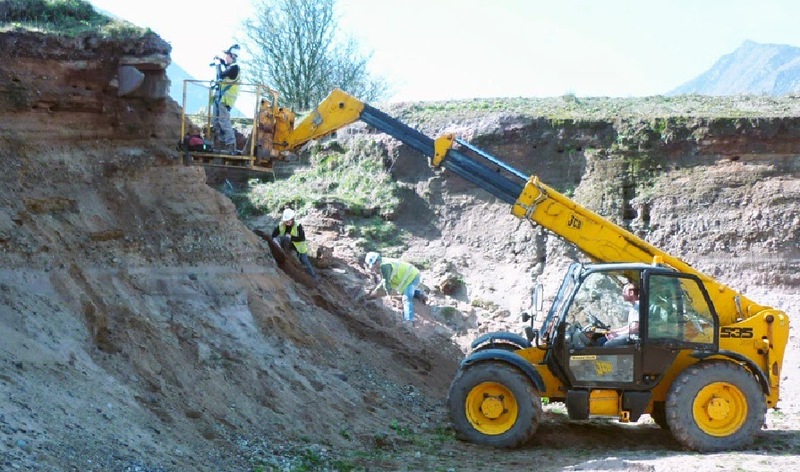 The excavations were taken from a section of the protected ancient monument at Chirk near the Shropshire border. Archaeologists at the University of York are challenging the traditional view that Neanderthal childhood was difficult, short and dangerous. A research team from PALAEO (Centre for Human Palaeoecology and Evolutionary Origins) and the Department of Archaeology at York offer a new and distinctive perspective which suggests that Neanderthal children experienced strong emotional attachments with their immediate social group, used play to develop skills and played a significant role in their society. In March 2012, the landowner and a local resident spotted a short stone cist exposed in the cliff face of a disused quarry at Sannox on the Isle of Arran. 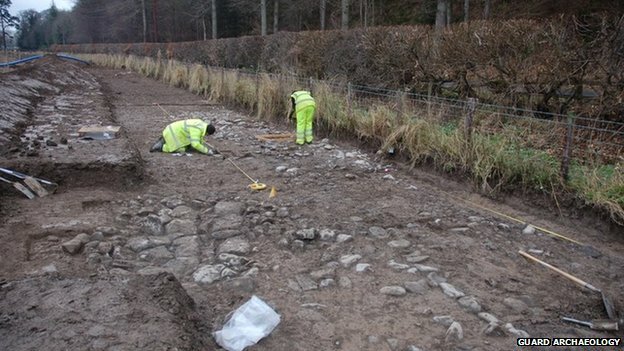 They alerted the West of Scotland Archaeology Service, which prompted Historic Scotland to commission GUARD Archaeology to undertake a rescue excavation. A GUARD Archaeology team, led by Iraia Arabaolaza, were sent to investigate the site; not an easy task given the high exposed location of the cist. The first thing the team did was to clean the exposed section of the eroding face of the sand cliff using a mechanical cherry-picker. This revealed not just the one but two cists. The subsequent excavation of the cists required the GUARD Archaeologists to wear harness and be tied to a fixed point at all times. However, the team successfully recovered and recorded the archaeological remains and brought them back to GUARD Archaeology's laboratory in Glasgow for specialist analyses, which has only just now been completed. Because the structure of human bones can inform us about the lifestyles of the individuals they belong to, they can provide valuable clues for biological anthropologists looking at past cultures. Research by Alison Macintosh, a PhD candidate in Cambridge University's Department of Archaeology and Anthropology, shows that after the emergence of agriculture in Central Europe from around 5300 BC, the bones of those living in the fertile soils of the Danube river valley became progressively less strong, pointing to a decline in mobility and loading. Macintosh presents some of her results at the Annual Meeting of the American Association of Physical Anthropologists in Calgary, Alberta on April 8-12, 2014. Her research shows that mobility and lower limb loading in male agriculturalists declined progressively and consistently through time and were more significantly affected by culture change in Central Europe than they were in females. 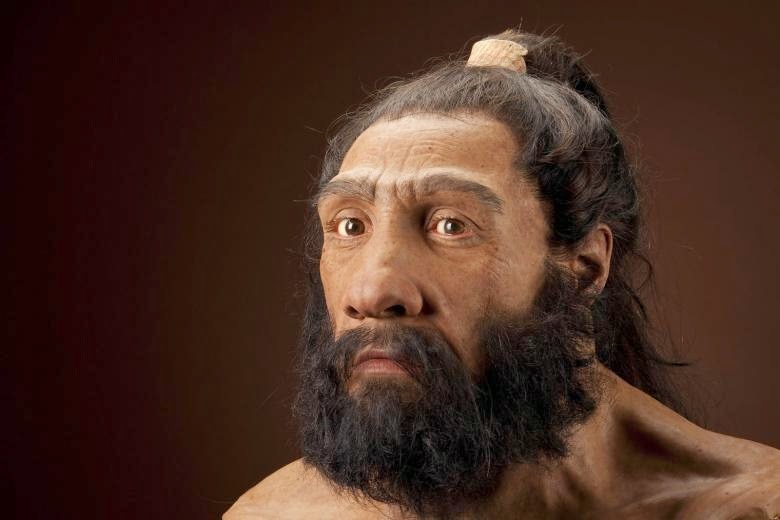 Technical objections to the idea that Neandertals interbred with the ancestors of Eurasians have been overcome, thanks to a genome analysis method described in the April 2014 issue of the journal Genetics. The technique can more confidently detect the genetic signatures of interbreeding than previous approaches and will be useful for evolutionary studies of other ancient or rare DNA samples. "Our approach can distinguish between two subtly different scenarios that could explain the genetic similarities shared by Neandertals and modern humans from Europe and Asia," said study co-author Konrad Lohse, a population geneticist at the University of Edinburgh. The first scenario is that Neandertals occasionally interbred with modern humans after they migrated out of Africa. The alternative scenario is that the humans who left Africa evolved from the same ancestral subpopulation that had previously given rise to the Neandertals. 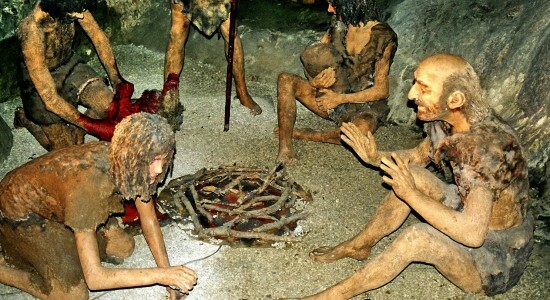 Did Europeans Get Fat From Neandertals? Fathead? Modern humans (right) in Europe may have inherited genes from Neandertals that process fat in their brains and bodies. Neandertals and modern Europeans had something in common: They were fatheads of the same ilk. A new genetic analysis reveals that our brawny cousins had a number of distinct genes involved in the buildup of certain types of fat in their brains and other tissues—a trait shared by today’s Europeans, but not Asians. Because two-thirds of our brains are built of fatty acids, or lipids, the differences in fat composition between Europeans and Asians might have functional consequences, perhaps in helping them adapt to colder climates or causing metabolic diseases. Depuis mi-février, les archéologues de l’Inrap interviennent à Prunay-Belleville, dans l’Aube, avant l’aménagement du gazoduc « Arc de Dierrey », réalisé sous la maîtrise d'ouvrage de GRT Gaz. Cette fouille, prescrite par l’État (Drac Champagne-Ardenne), vient de révéler trois ensembles funéraires majeurs : deux enclos de l’âge du Fer ainsi qu’un ensemble de sept sépultures antiques. Ces dernières, datées des IIe-IIIe siècles, très riche en mobilier funéraire, étaient particulièrement bien conservées. Mardi 4 mars, l’équipe de l’Inrap a constaté le pillage d’une partie des tombes gallo-romaines. Sur les lieux, la gendarmerie de Villenauxe-Grande a démarré une enquête. Une plainte a été déposée par l’Inrap.